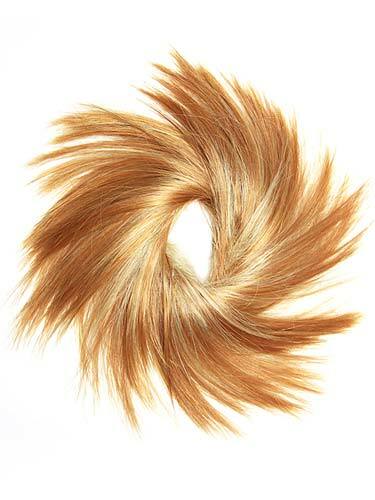 The Feather Wrap is a short, feathery wrap of hair on a scrunchie style elastic band. 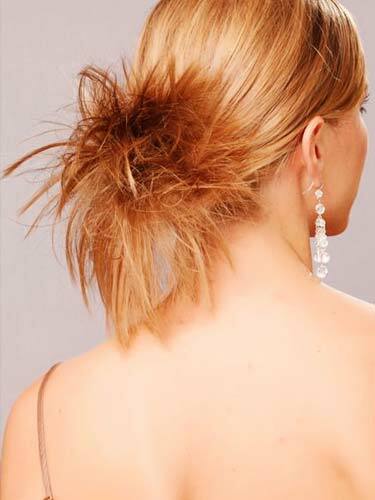 Simply wrap it around your ponytail to create a choppy, layered updo. The scrunchie is a great accessory to top your bun off or spike it up. Rock it with your favorite vintage band tee or dress it up on a girl's night out. Style it any way you want with heat, and wear it high or low, anything goes. Create a cute instant wispy updo in seconds. No experience required! This short feathery hair wrap turns an everyday do into fanciful style. This is fabulous! The colour was perfect for me and I am so delighted that I have ordered 4 more! My initial order was on Sunday and arrived today, Tuesday...you just can\'t get a better service than that!